How to install an SSL Certificate on Ubuntu? In the first part of this tutorial, you will learn how to generate a CSR code for an Ubuntu server, and how to install an SSL certificate on Ubuntu server using Apache. The later paragraphs include a brief history of Ubuntu and recommendations on where to buy an SSL certificate for an Ubuntu Server. How to generate a CSR Code in Ubuntu? 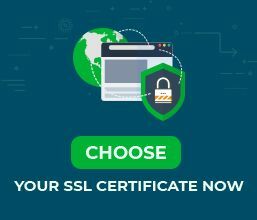 Where to buy an SSL Certificate for Ubuntu Server? We’ll begin with CSR code generation. CSR stands for Certificate Signing Request, and it’s the standard application message you must send to the Certificate Authority to apply for a digital certificate. On Ubuntu based Apache server you can create the CSR via the secure shell (SSH) protocol. Common Name – enter the FQDN (fully qualified domain name) you want to secure, for example, ssldragon.com. Congratulation! You’ve successfully created the CSR key. The newly generated files are yourdomain.csr, and yourdomain.key. You can use the “ls” command to find them in your working directory. Open a text editor such as Notepad to copy the CSR file and submit to the CA during your order process. Once you’ve completed the validation process, the Certificate Authority will send the SSL certificate files via email. Download the intermediate certificate and root certificate, and upload them to the Ubuntu server, in a specific directory. Open the Apache.config file with a text editor of your choice. Note: To access your site via both HTTP and HTTPS protocols, you have to separate two different files in the sites-enabled folder. 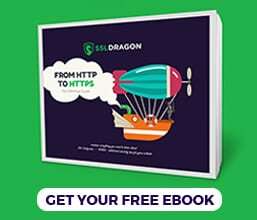 The HTTP file is for port 80, while the HTTPS one for port 443. In the SSLCertificateKeyFile parameter, enter the location of the private key file you created during the CSR generation. Note: If the SSLCertificateFile directive doesn’t work, use the SSLCACertificateFile instead. Use the apachectl stop and apachectl start commands to restart the Apache. Congratulations! You have successfully installed your SSL certificate on your Ubuntu server. To further test your SSL installation, and receive instant status reports, use these highly recommended SSL tools. Ubuntu, (pronounced oo-boon-too) is a free and open source operating system and Linux distribution created from the Debian codebase. The first official release was on October 20, 2004. Today, Ubuntu is available in three official releases and more than 55 languages: Ubuntu desktop (personal computers), Ubuntu Server (servers and cloud), and Ubuntu Core (Internet of Things, devices and robots). The word “Ubuntu” comes from the Zulu/Xhosa languages and literally means “human-ness” which can also be translated as “humanity”, “I am because we are”, and “humanity towards others”. The Ubuntu OS is named after the South African philosophy of Ubuntu or Ubuntuism. To help you select the perfect SSL certificate, we created a couple of handy SSL tools. Our SSL Wizard can recommend the best SSL deal for your online project, while the Certificate Filter, can help you sort and compare different SSL certificates by price, validation, and features.